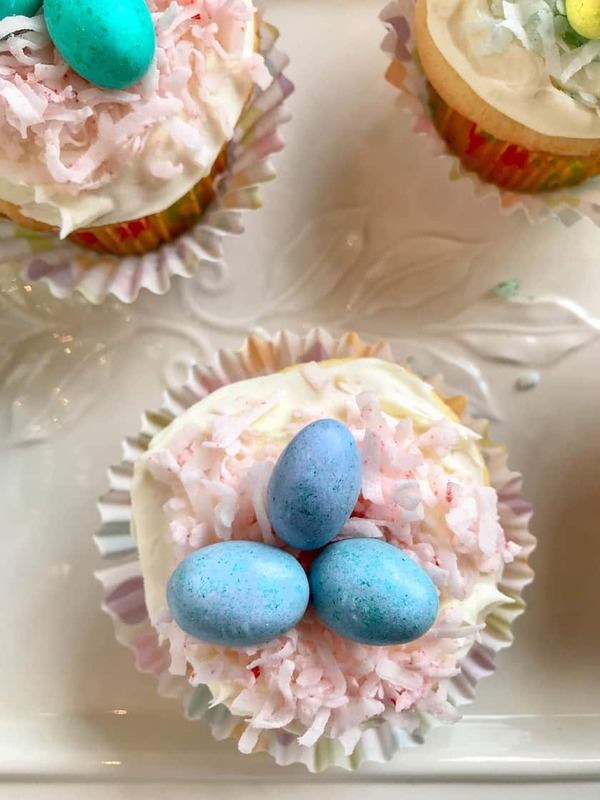 For a quick and easy Easter treat that’s fun and whimsical and spring-like, try these Easter Egg Nest Cupcakes. I’ve included our Simple Vanilla Cupcakes recipe below, but these cupcakes can be made using your favorite box mix and store bought frosting too. 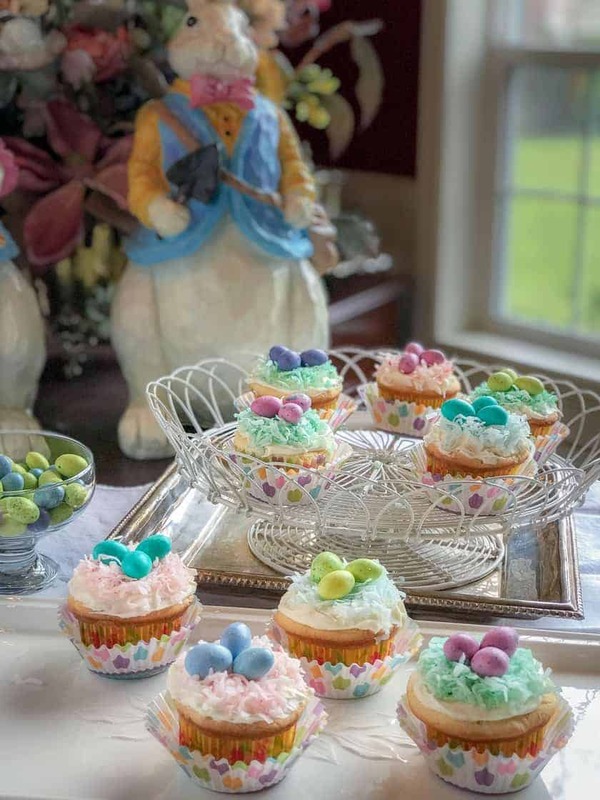 They’re so simple to assemble and are a colorful and darling addition to the Easter dessert table. To make the nests, add 1 cup of sweetened coconut flakes to a resealable sandwich bag (or several if you want a variety of colors). To the bags, add a drop or two of desired food color. Seal the bag/bags and shake to blend the color. You may need to add a drop or two of water to help disperse the color evenly in the flakes. Top each frosted cupcake with a ring of about 1 teaspoon of colored coconut flakes. Nest 3 egg-shaped candies into the “nest”. 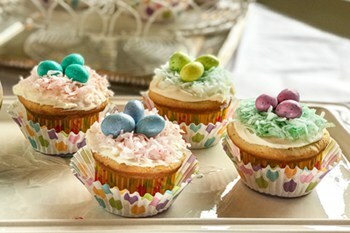 For these, I used M&M’s speckled Easter Egg candies. But any will do. Even jelly beans. 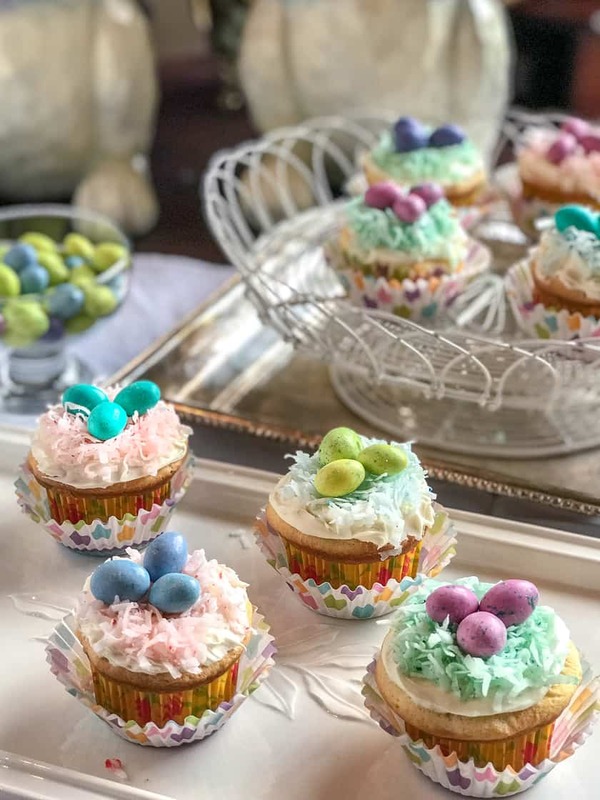 For a quick and easy Easter treat that’s fun and whimsical and spring-like, try these Easter Egg Nest Cupcakes with our Simple Vanilla Cupcakes recipe posted here. Preheat the oven to 375 degrees F. Line 2 muffin tins with paper baking cups. Cream together the butter and sugar until smooth. Add the eggs, one at a time, and mix well. Then add vanilla, baking powder, salt, flour, and milk. Beat for a minute or so until the batter is smooth. Portion the batter equally among 24 paper-lined muffin cups until they are about 2/3 full. 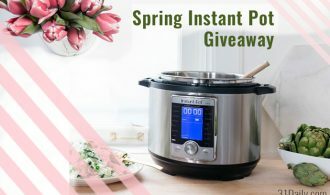 Bake for 18 to 20 minutes or until golden brown and a cake tester inserted in the middle comes out mostly clean. 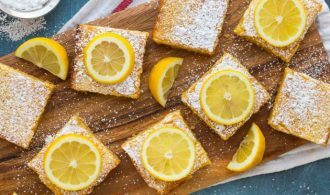 Combine the powdered sugar and butter. Stir in the vanilla and milk; beat until smooth. This should take a little while to get the best consistency for frosting. Add food color if you like.